Let Benken help host your local destination wedding. We have three areas available for rental: our Outdoor Patio, the Atrium and the Lakeside View. Each setting provides its own unique experience, and thanks to our award-winning floral design team, the only limit to what we can do is your imagination. 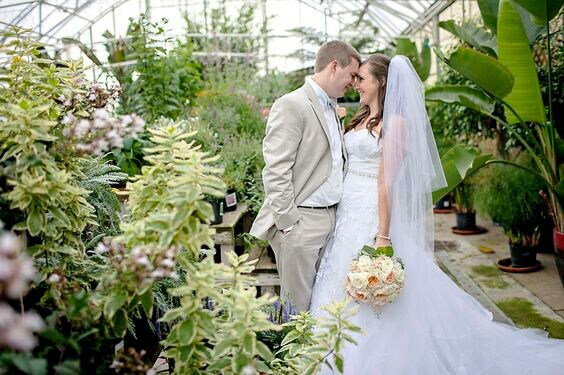 A conservatory-type greenhouse with cathedral ceilings and large tropical plants. Open and airy, it makes for a unique indoor venue, especially during the winter months. 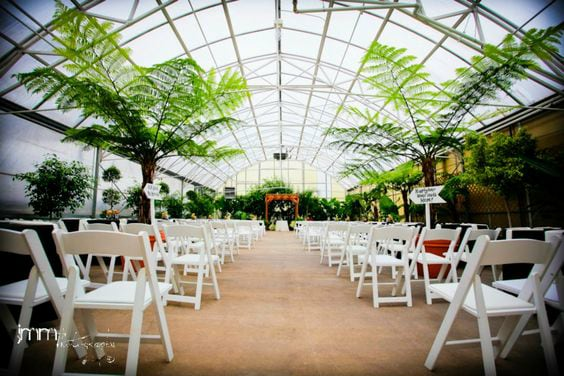 The Atrium can hold up to 150 guests, and is available for rent January-March, and July-December. Rental includes all tables, chairs, and basic linens up to 150 people. A 10,000 sq. ft. patio, perfect for up to 300 guests. This area is available to rent in July, August, September and October. Your rental includes tables, chairs, and basic linens for up to 300 guests. An open grassy area that sits next to a quiet pond. Lakeside View is available for Wedding Ceremonies as well as Receptions. The open area can hold large tents and accommodate up to 300 guests. It is available to rent March-October. Rental does NOT include tables, chairs, linens and tents. Please contact our sales associates for a specific quote. Flowers for your wedding will also need to be contracted through Benken's for your event. The wedding party must hire a licensed bartender to serve through one of our approved caterers below. DJs, bands and any additional decor or lighting will need to be contracted by your event planner. Alcohol costs vary depending on selection chosen by bride and groom. Beer, wine and additional alcoholic items are purchased through Benken. Ready to start planning wedding at Benken? Fill out the form below or contact us at 513-891-1040, to learn more.